FOXBOROUGH, Mass. 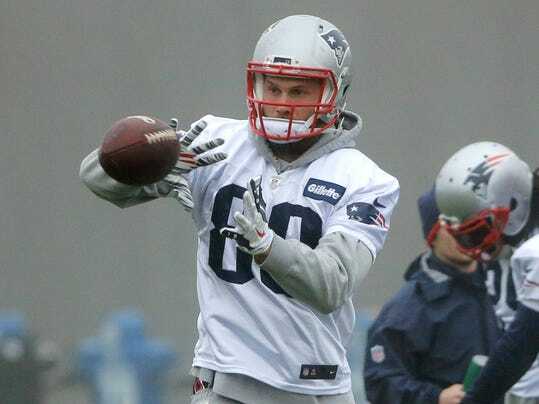 (AP) — Scott Chandler knows he can’t try to be Rob Gronkowski while the star tight end is out with a knee injury. Gronkowski suffered a right knee sprain and bone bruise Sunday night in New England’s loss at Denver. He will be out an undetermined amount of time. So Chandler, who has been the No. 2 tight end since signing with the Patriots, now figures to be thrust into a great role with Gronkowski out. But that really doesn’t affect the way he gets ready for Sunday’s game against the Philadelphia Eagles.